you gotta want it: Wishbone Canine Rescue: Saving Lives! He is a very HAPPY (and talented) boy!! As much as we like believe he was just BORN perfect, we understand that we gave Winston a chance to be the loveable, irreplaceable companion that he is. This summer, our friends Josh and Emily were approached by two stray dogs near their apartment- out of the goodness in their hearts, they took these two dogs into their tiny apartment, with their current dog, and gave them a home for two days while they literally went door-to-door trying to find their owners, to no avail. They could not keep, nor did they have the space, to permanently house these two dogs. However, within the span of two days, they became very attached to these two mellow, well-behaved, and happy dogs. They called every animal shelter and adoption agency in town- the only agency that was willing to take in these sweet pups was Wishbone Canine Rescue. Straight from their website, WBCR "is a not-for-profit, volunteer, no-kill organization whose primary focus is finding responsible, loving and permanent homes for surrendered, abandoned, neglected and abused dogs from within our community and the surrounding areas." They accept dogs of all breeds, ages, shapes and sizes. They usually have LOTS of puppies available too! This year alone they have facilitated over 500 adoptions! The catch was, Josh and Emily had to take the dogs to McLean County animal control first; the AC would hold the dogs in case someone reclaimed them, and would perform a "behavior test" on them to determine if they were suitable for companionship. Wishbone would legally be allowed to find these dogs a home once these prerequisites were met. This was the only option, so of course Josh & Emily obliged. We had known of Wishbone Canine Rescue through a friend who had been fostering dogs with them for a while. I learned that "fostering" entails taking a homeless doggie into your home and caring for it until Wishbone find a home for him/her. After countless calls to Animal Control, I called Wishbone Canine Rescue and talked to Lisa, the founder. Turns out she had been actively trying to get information on these pups just as I had, with the same "response." I told her that we would be willing to foster one or temporarily both of the dogs if Wishbone was able to collect them from AC. She promised that she would do her best!! My gut would turn and my heart would tug every time I called AC...Dan and I become so frustrated with their lack of information about these two dogs that we actually requested a FOIA on them... and got one! We found out that they had not been "destroyed" yet and that their owner was in the "legal system" and that "nothing could be done" with these dogs because they were still technically the owner's property (why were they running the streets then?? Did he let them go??). We also found out their "real" names- Lulu and Snickers. After a phone call when they finally answered, they "promised" that they would call me with an update on these dogs. I'm sad to say, but I never called back- and I never heard back from AC. After over a month of heartbreaking phone calls, I didn't bring myself to dial the number again... because honestly, I doubt I could have made much of a difference. All dogs are spayed/neutered, microchipped, and receive veterinary care (at no cost to the foster! )- thanks to SmartVet. 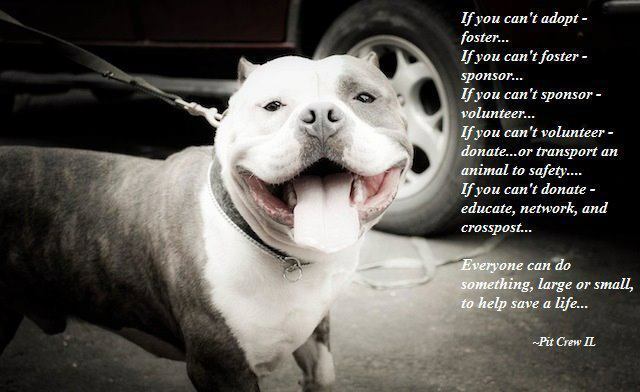 All foster homes receive food, crates, collars, leashes, and other accessories deemed necessary for the dog. You are under NO obligation to foster or continue fostering... By becoming a "foster parent," you essentially sign up for an email list of "foster needs"...once you are ready and decide to foster, you decide WHICH dog you want to foster, and have a forum (ie a facebook page) of people to help guide you through the fostering process; but if a specific dog just doesn't fit with your home, you can usually swap or simply return the dog. You are supposed to bring your foster dog to weekly adoption events- if you can't, no problem. They can arrange someone to pick up your pup, bring them to the event, and then drop them back off at your house! Same thing if you are going out of town- with advance notice, the dog can be placed in a different foster home. We quickly realized that fostering was fun and very rewarding! Meet Faith! Wishbone picked her up from Animal Control- she was found 3 weeks earlier on a rural road- she was lying next to a dead dog that had been hit by a car days earlier- presumably this was her friend. Wishbone called her "Faith" because she was a faithful friend! She was our first foster, and we had her for about 5 weeks. She is a SUPER sweet and cuddly girl- she was so well-loved within the Wishbone family that one of the foster families adopted her! Yes, those ears are REAL! :) She is the funniest mix! She is a short, tiny little dog with a big heart. She's also a mama- her and her baby Louie were originally from Jacksonville, where they were taken away from their abusive owner. Wishbone took Buttercup and Louie back to Bloomington where they could rest in a home, not a shelter. We fostered her two different times, once for a week, and once for a month :) I was so attached to this one- just looking at her sweet and silly face would make me smile! She is also very cuddly and likes to follow you EVERYWHERE- it was very common to feel her nose on the back of your calf, wherever you went. She found a home with her forever daddy who met her at an adoption event- she has a "big sister" with the same ears! What happened to her Louie? Well he was immediately scooped up by the Wishbone SmartVet- once she saw this little man, there was no way she was going to let him go! :) He's in VERY good hands! We don't have much to say about Cassie, because we only had her for 4 days! She was rescued from a high-kill shelter in Chicago- she is a young Shar-Pei mix with LOTS of energy! Her and Winston ran and ran and played all day! She found her new family at an adoption event, and she is now playing on a big ol' farm with lots of room to run around! Ooooh Guen! We had her for a week and half before her new family fell in love and took her home. She is a 4-year old English Mastiff who was very well-behaved and well-trained. Her owner relinquished her because he moved out of the country. However, she was very very shy and TERRIFIED of men that she did not know. She became super attached to me instantly, but it took her awhile to warm up to Dan. She was also a big snuggler- good thing, because now she has a St. Bernard and 3 other doggie siblings to cuddle with! Happy Tails! Poor Gus, he still does not have a home :( He is a big lovebug- all he wants is to chill with a human friend! He is a happy-go-lucky, easy dog when he's around his people; we tried fostering him for a couple days, however, with our schedules, we were not home enough for him to be happy :( He suffers from pretty severe separation anxiety- he would be a GREAT dog for someone who is home all day, like a retiree, stay-at-home mom, work-at-home professional, etc.! His owner relinquished him and his brother Rocco when she moved into a community that didn't allow "Pit-Bulls" (STUPID breed-specific rules!!). Here he is in supermodel-form on a WBCR cover ad! Oh, his brother Rocco is looking for a home too!! Here he is with ANOTHER WBCR doggie, Roxie (also looking for a home). Rocco has the red collar! He is Gus's brother, and Roxie is his foster sister, also looking for a home! Some people ask HOW we don't keep these dogs- don't we get attached? The answer is: Yes, we do get attached. I've shed a couple tears after each dog left. But we take a step back and remember WHY we are doing this- Wishbone will find these pups a happy home, and then we will be able to foster another healthy dog at risk of euthanization or a lonely life in a shelter. Part 3: What YOU can do! Foster! Even if you can only takes dogs during the week or on the weekends, the foster organizations like Wishbone will likely really appreciate the help! Volunteer your time! I know that Wishbone uses volunteers to help out at adoption events, walk dogs at the facility, help out with "Vet days" on Thursday, cleaning, paperwork, and even transport dogs from shelters to Wishbone or from Wishbone to their new owners. There is a whole network of "transports" from all over the country... we can save dogs from just about anywhere, just like people can adopt dogs from anywhere! Or if you don't have the time, money, or space, even just reposting information on facebook/twitter/etc. can make a difference! This is so impressive. I too am a dog lover.Every person should volunteer time and help Wishbone at adoption events, walking dogs at the facility, and transporting dogs from shelters to Wishbone or from Wishbone to their new owners. We can surely save dogs from just about anywhere, just like people can adopt dogs from anywhere! I have a dog and he is quite old but he is still one of the beloved member of the family and I highly recommend that everybody would get one.